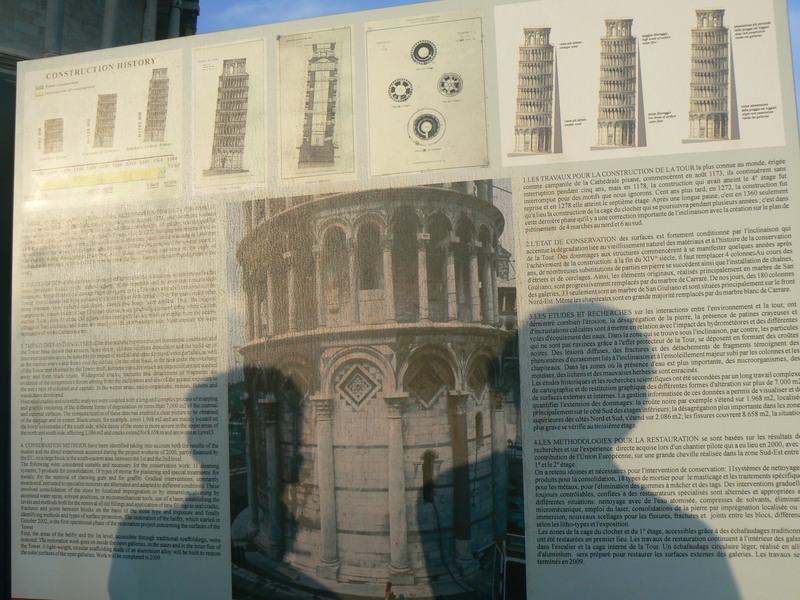 On 5th of July May evening I arrived at small town of Pisa. Like any other small town this too is less crowded and there is nothing much to do other than tower of Pisa. Of course as soon as you see it you know why its called a wonder. The Leaning Tower of Pisa (Italian: Torre pendente di Pisa) or simply The Tower of Pisa (La Torre di Pisa) is the campanile, or freestanding bell tower, of the cathedral of the Italian city of Pisa. 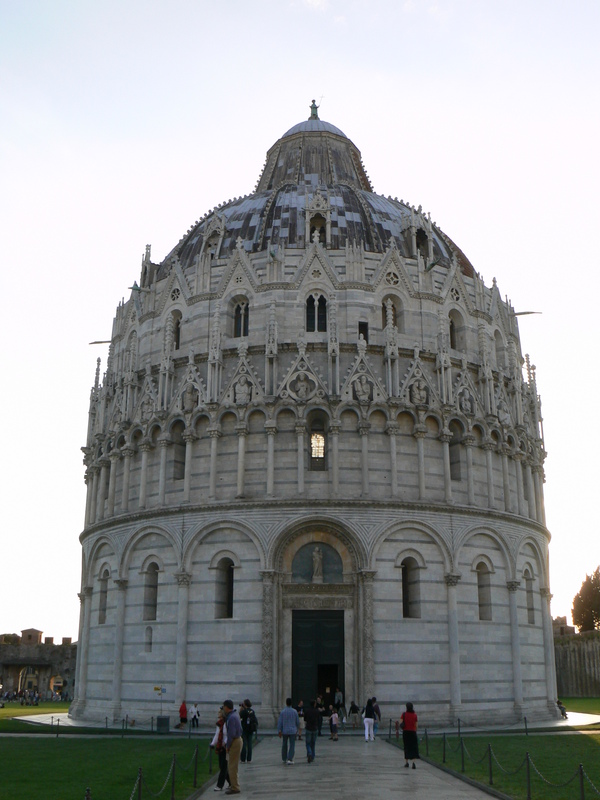 It is situated behind the Cathedral and it is the third structure by time in Pisa’s Piazza del Duomo (Cathedral Square).The height of the tower is 55.86 m (183.27 ft) from the ground on the lowest side and 56.70 m (186.02 ft) on the highest side. 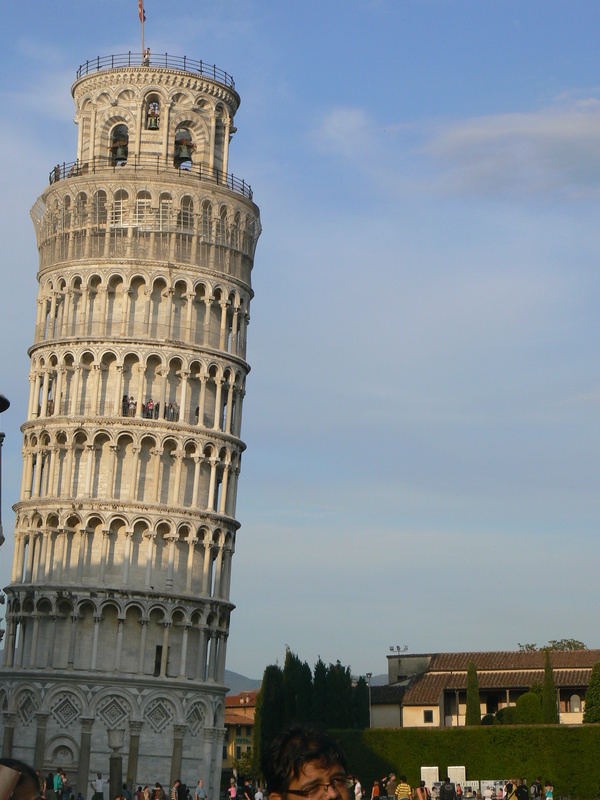 The tower leans at an angle of 3.97 degrees. This means that the top of the tower is 3.9 meters from where it would stand if the tower were perfectly vertical. Tower of Pisa is inside Piazza del Duomo or Cathedral Square. Its a wide walled area at the heart of Pisa. It has the Duomo, the Leaning Tower, the Baptistery and the Camposanto. The Baptistery, dedicated to St. John the Baptist, stands opposite the west end of the Duomo. It was built in Romanesque style by an architect known as Diotisalvi. 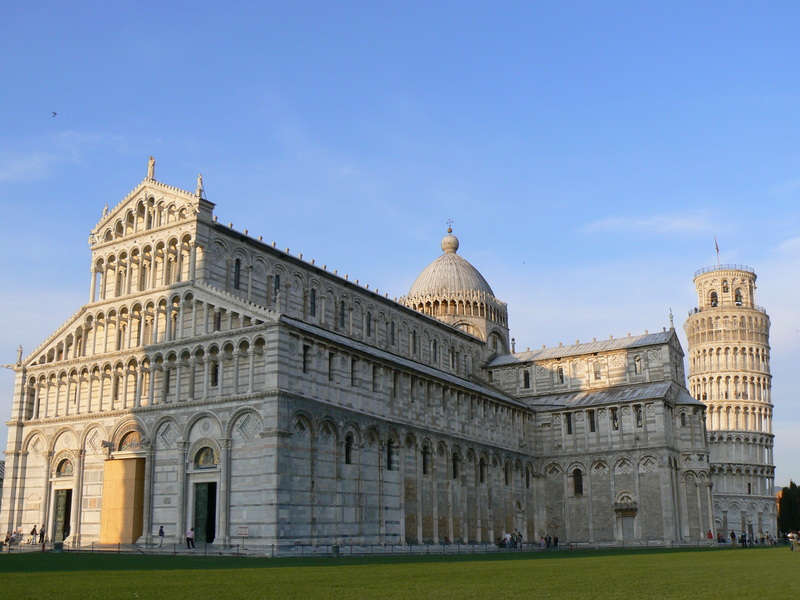 The heart of the Piazza dei Miracoli is the Duomo, the medieval cathedral. 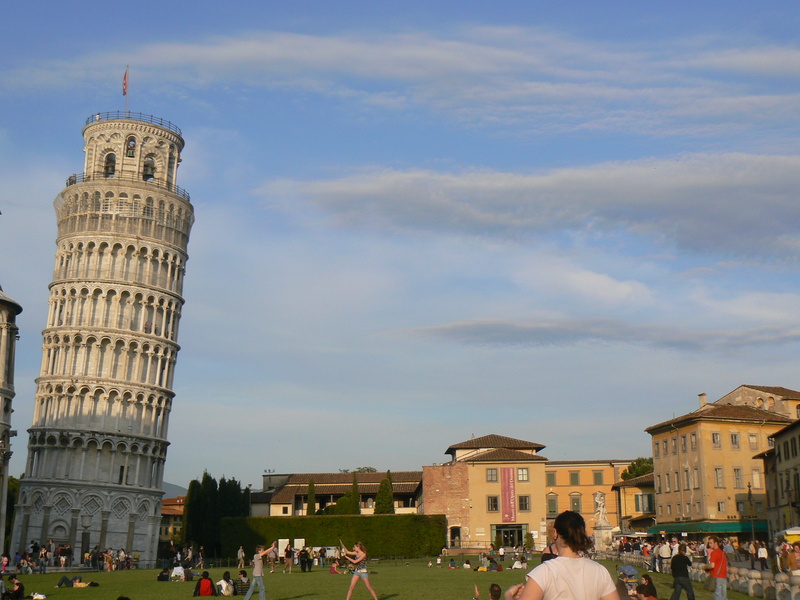 Tower of Pisa is the center of attraction to all tourists. You can see people clicking all kinds of pictures. 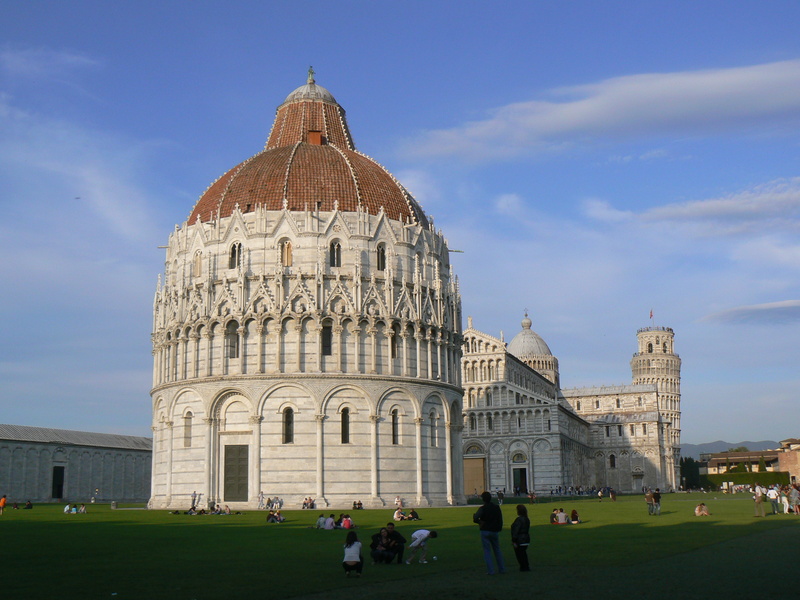 Information about Pisa and its history. Well this just to prove I was there! When it will going to fall??? is ther any approx estimation??? How is it leaning? any scientific reason? nice one…you should have posed as if holding the tower from falling down…that would have come really great. great maan….ll visit this region once before I die..
Its amazing!! !…btw, 5th july? 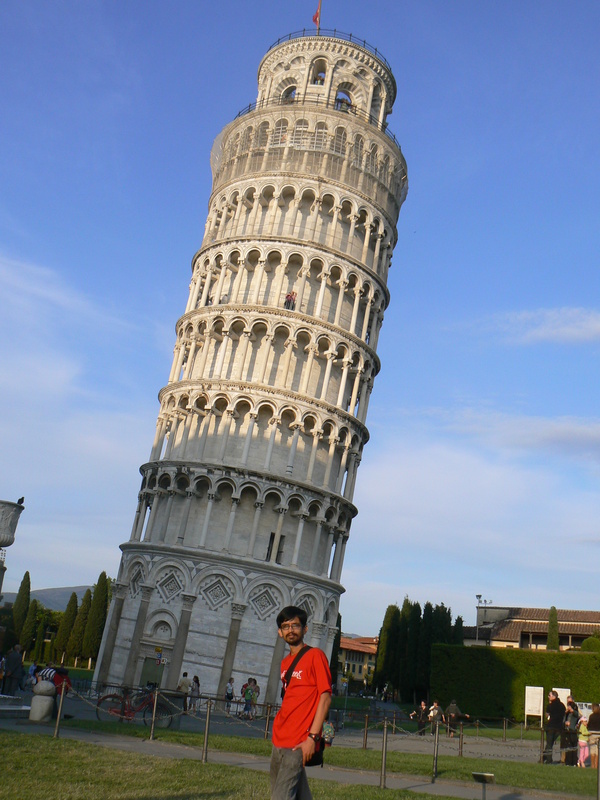 ?i thnk u got it wrong…..
Hi, Tej Nice one and i got to know more abt pisa.. Next time accompany some one and have pose as JP said. While it is not the building with the biggest leaning, it is still the most spectacular one.